Welcome to the Bidford and District History Society. Our Society was formed in 2006 for enjoyment by those who take an interest in the history of South Warwickshire and beyond. We sustain a membership of over 100 interested members, due to our varied, lively and compelling range of guest speakers, many renowned leaders in their field. We meet on the third Friday of the month at 7.30pm in the Crawford Hall, Salford Road, Bidford-on-Avon, B50 4EZ. Our Research Group has published landmark 20th Century social histories concerning Bidford and the surrounding area. November 2018 saw the launch of our major publication "Have You Forgotten Yet? ", which has the stories of the lives of many Bidford men who survived the Geat War. On the website go to Recent Publications tab for books,which can be purchased and e-publications such as a trip down the High Street of 100 years ago and Bidford under the Weather. 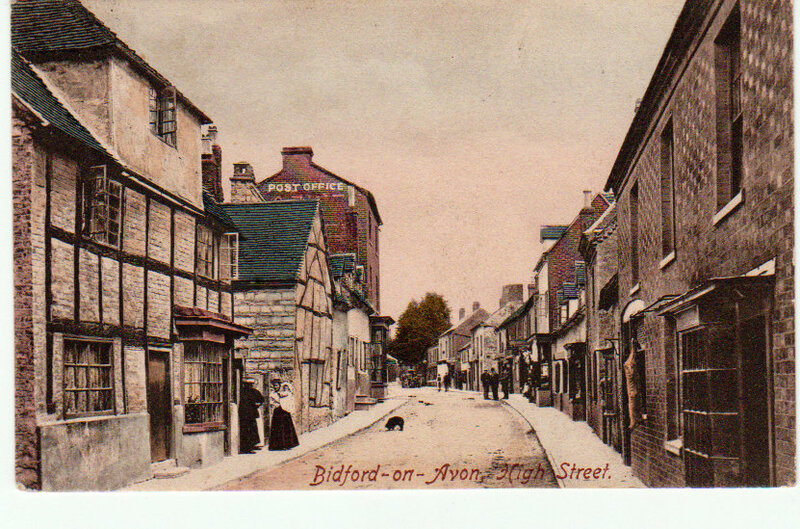 We signpost also the history of Bidford from Warwickshire County Archeology and academic studies. Bidford extends back to the Neolithic period and with Roman and Saxon occupancy. Researched information is at Bidford Local History. If you are interested in history and want to learn more about the past, do come and join us to hear wonderful stories of great people and events. If you are from overseas and want to make enquiries through the Society about family who may have come from this area then we are delighted to help you. We receive quite a number of such enquiries, so please be patient if we take time to respond.